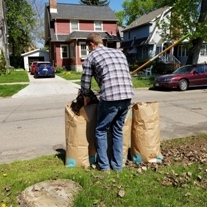 Use the Brush Pickup Schedule map to learn when to place brush to the curb. 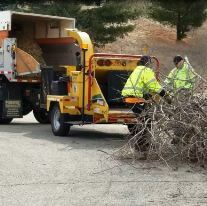 Use the Yard Waste Pickup Schedule map so you don't miss your chance for curbside collection. Weekend and evening drop-off site hours begin March 30, 2019. Expanded hours last until December 8, 2019. For your copy, visit your local Madison Public Library branch or contact the Streets Division. Or download a digital copy today. WANT A GREENER HOLIDAY SEASON? HERE'S SOME TIPS. 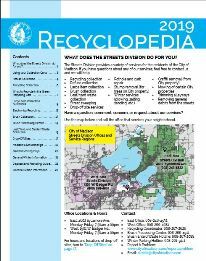 NEED THE *NEW* RECYCLOPEDIA? DOWNLOAD THE 2019 VERSION TODAY. have too much cardboard? here's what to do. 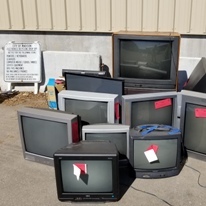 NEED TO RECYCLE A TV? HERE'S HOW. Too many phone books? Opt Out! 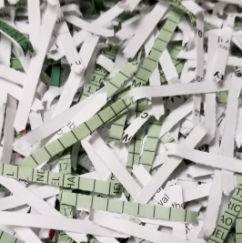 Madison's program for cutting trash and increasing recycling.